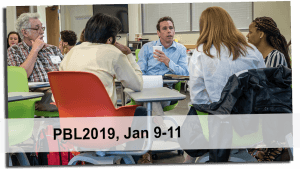 January 9-11, 2019 on the University of Delaware campus, Newark, Delaware, USA. This workshop is for educators interested in learning about problem-based learning, both in its classic form and recent variations. We welcome those new to PBL as well as experienced practitioners. We welcome faculty, graduate students, and instructional support staff in higher education. For best results, participants are expected to remain in the program for the duration of the event. 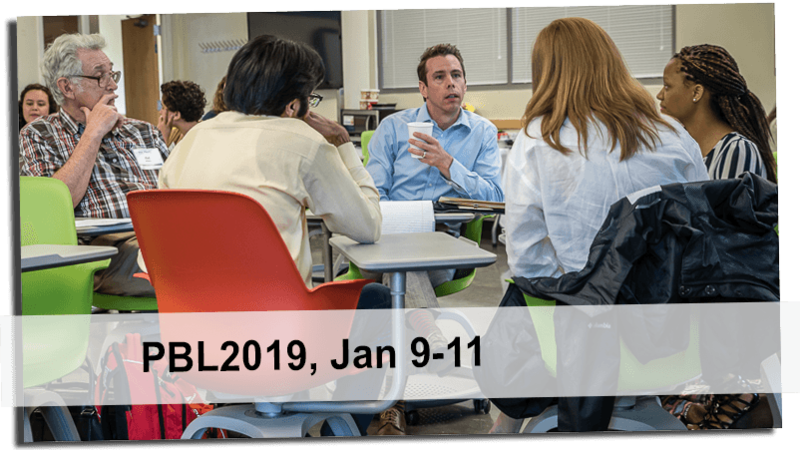 This workshop will demonstrate problem-based learning (PBL) and model ways that PBL can be used effectively in all disciplines across higher education and in all size classes. We will describe ways to adapt PBL to your teaching situation. University of Delaware faculty, graduate students, or staff: no charge, but registration is still required. For groups of 5 or more from one institution, please email Phil Duker, pduker@udel.edu, for group discount information. If you are interested in presenting at the poster session (details below), please register early. To register, please complete the registration form and submit payments by mail. If needed, you may bring a check to the registration table at the event. A web page is available with information on accommodations and travel. All participants are encouraged to propose a poster, either electronic or on poster board, for display during the reception (the evening of January 9). The posters can detail participants’ use of PBL or other forms of active, engaged learning (service learning, client projects, case studies, other projects). Let us know if you need a letter accepting your proposed poster presentation to help with institutional funding. The event is brought to you by the Institute for Transforming University Education (ITUE) and other partners of Faculty Commons at the University of Delaware .